Students should know that according to Cell Theory all cells are composed of cells. By 17th century scientists knew that the human body is composed of organs, which in turn was made up of tissues. With the advent of microscope, scientists started probing the plant and animal tissues and developed cell theory, which states that the cells are the fundamental buildings blocks of all living organisms. The smallest organism is made up of single cell and therefore known as unicellular whereas as larger organisms are multi-cellular as they are composed of many cells. Therefore, the cells are the fundamental building blocks of all living organisms. 1. Cells are separated from their surroundings by membrane – cell surface membrane. 2. Cells contain genetic material, which control the functions of the cell – DNA. 3. Chemical reactions in cells are are catalysed by enzymes. 4. Cells have metabolic processes in place to produces energy in order to power the cellular activities – Mitochondria. Scientists look for trends that can found in variety of different organisms. This forms the early stages of scientific investigation. 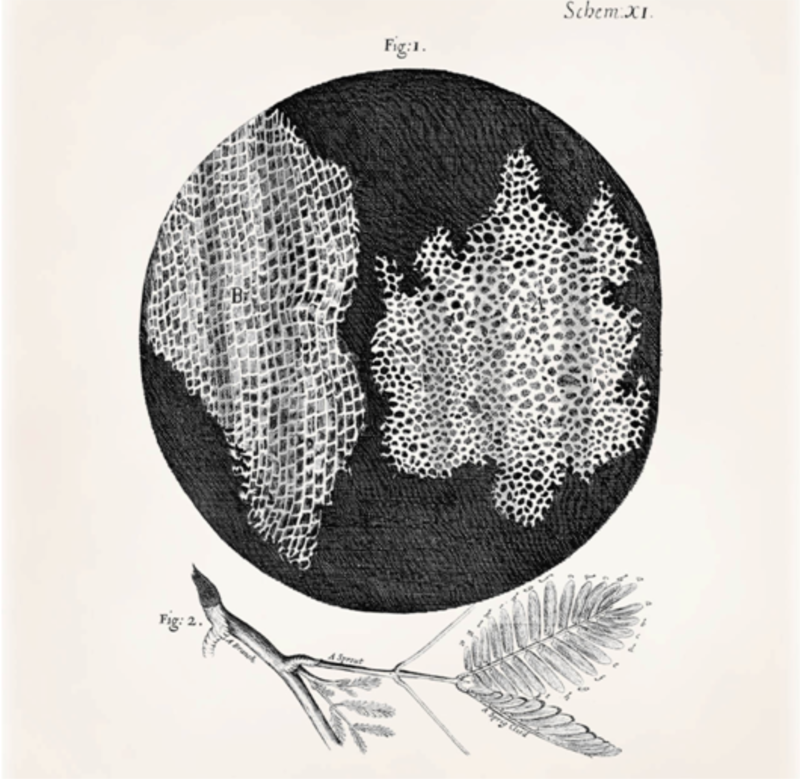 Robert Hooke was the first to use the word cell for structures in living organisms in 1665 after examining cork cells. His drawing of cells from cork tissues in shown in fig. 1. 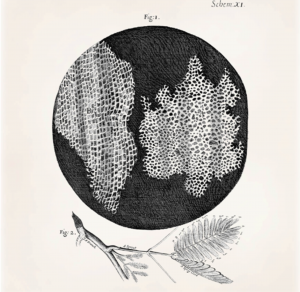 Robert Hooke looked at many different types of plant tissues and found similar structures across all the tissues. He had discovered a general trend (things that appear to be found generally rather than just in specific cases) across many of the tissues. These trends lead to the development of cell theory. Since 17th century many more scientists have looked into variety of different tissues in different organisms. Many of the tissues are shown to consist of cells although some discrepancies have been found. In future more discrepancies are likely to be discovered but cell theory is unlikely to be discarded in the face of such anomalies because cell theory has proved to be true is large number of tissues. Scientific investigation into trends lead to the development of cell theory. Theories allow making predictions and explain the natural world. If discrepancies become common then the theory is discarded.